Muse is set to headline the MTV World Stage Bilbao, ahead of the 2018 MTV EMAs. 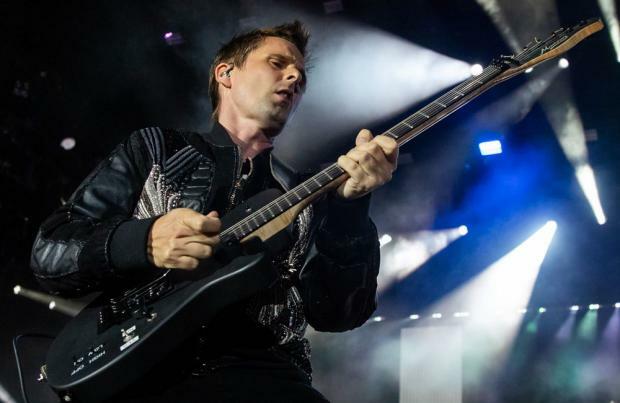 The rock band - comprised of Matt Bellamy, Chris Wolstenholme and Dominic Howard - will take to the stage at San Mames Stadium in Bilbao in Spain, closing out MTV Music Week on November 3. The group's latest album 'Simulation Theory' will be released on November 9 and will be performed live for the first time at the event. The three-hour festival will broadcast on November 4 at 8pm GMT and electronic folk band, Crystal Fighters, will also perform - and more artists are yet to be announced. The five-time MTV EMA Award-winning group has sold over 20 million albums worldwide and has had several Billboard top 100 hits such as 'Uprising' and 'Starlight'. Meanwhile, the band have announced an intimate show at the Royal Albert Hall for the Prince's Trust later this year as they offer their support to an organisation that helped them in their early years. The 'Time Is Running Out' hitmakers hope their show at the iconic London venue will be a chance to give back to an institute that helped them years ago. Frontman Matt previously said: ''for a long time, we've admired the work of The Prince's Trust. ''When we were starting out as a band the Trust actually gave us a small grant to buy our first PA system, which I still have to this day. The charity's chief executive, Nick Stace added: ''We're incredibly proud to count the band Muse among our alumni here at The Prince's Trust, and thrilled that they are putting on this special concert in aid of the charity.